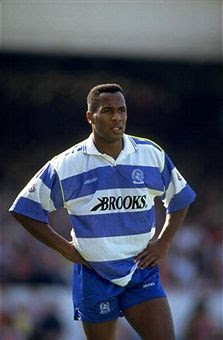 Brooks replaced Influence as both supplier and sponsor in 1991. Around 14,000 replicas were rumoured to have been sold, priced £21.99 for adults. 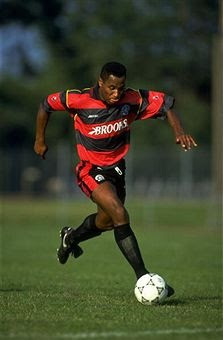 The away design was an exact copy of the home, but in black and red. Like the previous season, a third kit was launched half-way through the season, this time in green and white hoops. 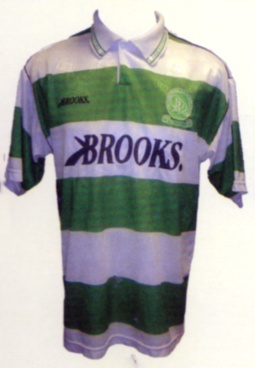 It sold well, but was never used in a match - allegedly because Ray Wilkins did not want to be associated with Celtic after his successful period with Glasgow Rangers.